Researchers from the University of Southampton are investigating whether deaf teenagers have better language skills if they are identified as deaf just after they are born. The team has been studying the development of a group of children whose hearing impairment was detected at birth in a pilot screening programme conducted in Southampton and London in the 1990s. Now those children are aged 13 to 18. Scientists, funded by the Wellcome Trust, will investigate the children's level of development and compare them to deaf teenagers who were not screened as newborn babies. They will also compare them to 'hearing' teenagers from the same parts of the country. 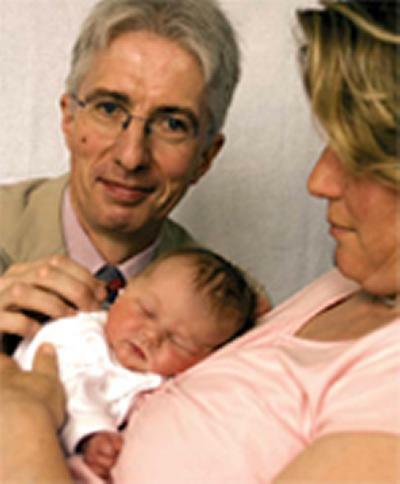 A national, universal newborn screening programme for deafness was introduced in the NHS following the publication of the team’s initial study in 1998. This new form of screening is now in place in every area of the UK. Colin Kennedy, professor of neurology and paediatrics at the University and a consultant paediatric neurologist at Southampton General Hospital, is leading the study. He explains: "We tested the effect of screening all newborn babies for hearing problems at birth and found that it was an effective way of picking up hearing impairment early in the first year after birth. We also discovered that children exposed to this type of newborn screening had, on average, better language and reading abilities at age 8 years than those not exposed to newborn screening. Reading, language, school attainment, behaviour, quality of life, interpersonal relationship functioning, social understanding and views about their deafness and their education will all be investigated in the latest study. To read more about the study, or to get involved with the search for the teenage participants who took part when they were children, you can visit the research project website: www.hotproject.org.uk. Hospitals involved in the study include: Southampton University Hospitals NHS Trust, Portsmouth Hospitals NHS Trust, Great Western Hospitals NHS Trust (formerly Swindon and Marlborough NHS Trust), Royal United Hospital Bath NHS Trust, The Hillingdon Hospital NHS Trust, North West London Hospitals NHS Trust, Whipps Cross University NHS Trust. The study is called "The Hearing Outcomes in Teenagers (or HOT) Project”. Researchers include Hannah Pimperton (Clinical Neurosciences, School of Medicine, University of Southampton), James Raftery (Wessex Institute, University of Southampton), Merle Mahon (Developmental Science, UCL London), Janet Peacock (Public Health Sciences and Medical Statistics, School of Medicine University of Southampton), Jana Kreppner, Hazel Blythe (both at School of Psychology, University of Southampton) and Steve Powers (School of Education, University of Birmingham).